higher lines. We added tall wainscoting in the dining room to balance the elevated foyer entrance. 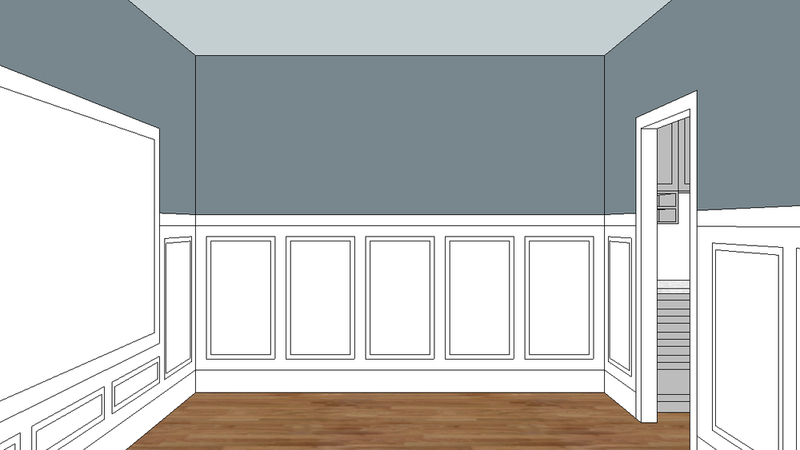 Avoiding a divisive centerline, the trim on the back wall incorporates 5 tall rectangles and the low trim on the side wall mimics the 3 windows above. simplified purpose. With the addition of a large eating area near the kitchen, the former dining room became a more private dining space for four. We traded traditional for elegant with lighter tones in the table and chairs. An open-top sideboard now resides where a hutch once lived. measured dose. We chose light gray tones on walls throughout the house to bounce light into potentially dark corners. 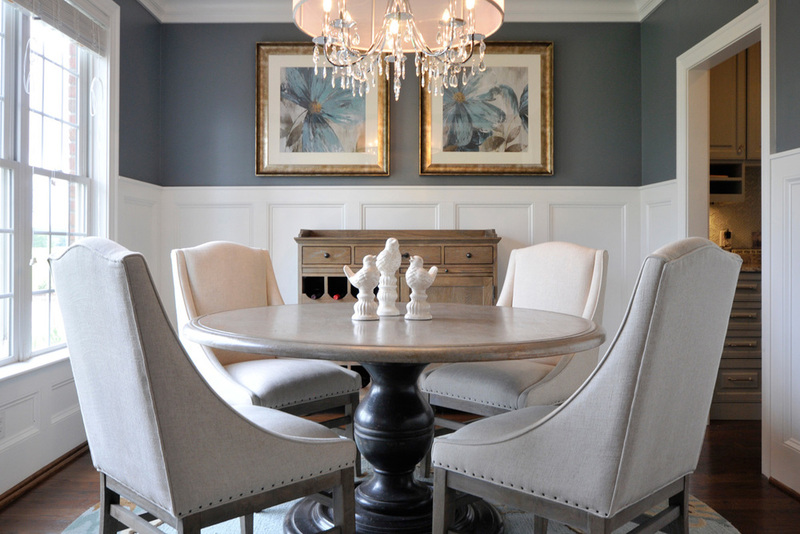 In the dining room, where light abounded and wainscoting climbed the walls, we chose a deeper gray with higher saturation for a touch of color.